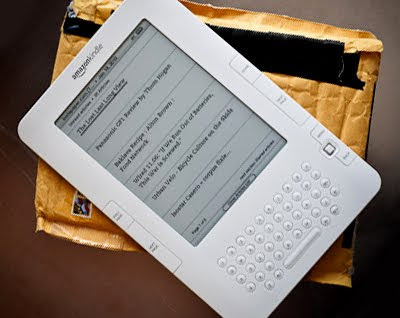 Amazon today unveiled the new Kindle e-reader. 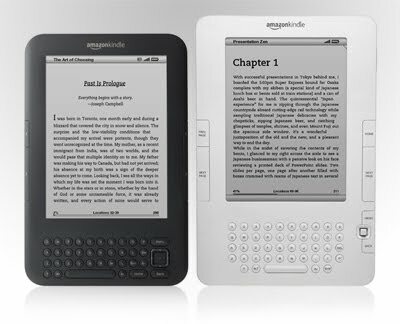 The new device has a 6″ display like the old Kindle, but is the newer type of E-ink display found in the Kindle DX Graphite. There are other differences, but the main one is price. The WiFi-only model will sell for £109 and the 3G version for £149. In addition to the price and screen change, the redesigned body is 21% smaller and 15% lighter, down to about 8.5oz. 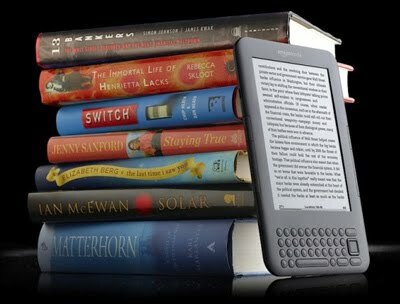 If their press release is to be believed, it’s also got twice the storage (4GB) and significantly improved battery life over the old Kindle. 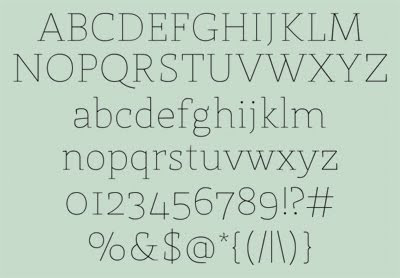 St Marie is skinny slab serif, with 'real' numerals. Available from Font Squirrel. Magic Trackpad is just like the trackpad on the MacBook Pro — but bigger. 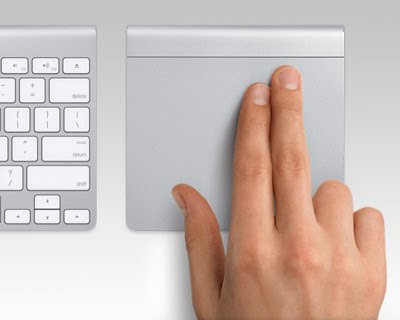 With nearly 80 percent more area, it’s the largest multi-touch trackpad made by Apple. So there’s even more room for you to scroll, swipe, pinch, and rotate to your fingers’ content. And since the entire surface is a button that clicks, you can use it in place of a mouse. It features the same sculpted aluminum design as the Apple Wireless Keyboard, and side by side the two sit flush at the same angle and height. Go from typing to gesturing in one motion, or do both at the same time. It connects to your Mac via Bluetooth. Use it in conjunction with the Apple Wireless Keyboard for a cable-free, uncluttered workspace. And if you feel like venturing away from your desk, Magic Trackpad maintains a reliable and secure connection up to 10 metres away from your Mac. For a 'first-impressions' review, click here. Inspired by the slippery lines of early 20th century low-drag coachwork — designs formulated by the science of aerodynamics, yet strikingly gorgeous. 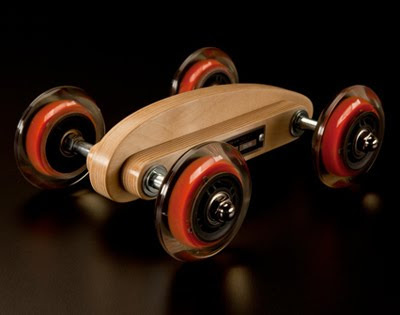 The wooden bodywork is sculpted from rugged 13 ply Baltic birch. 77.5 millimeter carnelian-core industrial grade wheels on precision bearings. Solid stainless steel axles and fasteners. One of the funniest parodies I've seen for a long time. Register Hardware have published a review of ten amp/speaker units in the 'over £300' category. 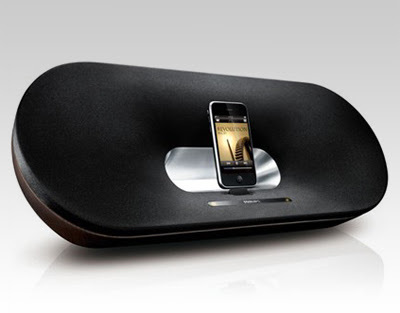 The £400 Philips Fidelio DS9000 (pictured) gets a 95% rating. 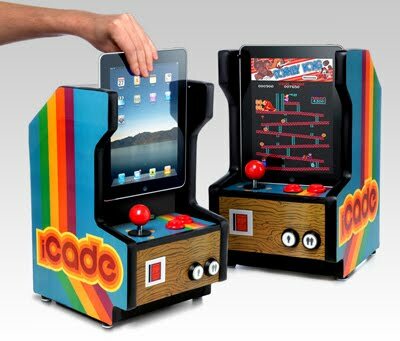 Enter the iCade iPad Arcade Cabinet! To use the iCade, gently slide the iPad into the docking cradle. The docking cradle uses a standard 30 pin connector to link the iPad to the professional-grade arcade controls. Once the iPad is in place, launch the iCade App and it's game on! I was happy with the Bluetrek, however my recently purchased iPhone 4 has refused to play nicely with it, resulting in frequent, infuriating cut-outs in the signal transmission. The final straw came half-way through a 6-mile run when the signal died completely. I saw the PMX 680 on Amazon for £35.00, and decided to give it a try, and am very glad I did. - The fit is snug and comfortable. - The sound quality is clear and involving. 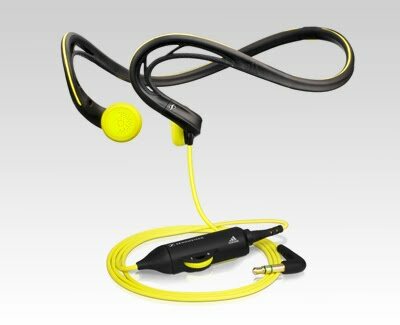 Not as good as the Westone 1, but much better than the Motorola S9 and Bluetake. - My main reservation, the wire, is mitigated by the fact that the primary section is very short. When used with the iPhone in my armband it doesn't irritate me at all. - I haven't used the 'extension/volume control' wire for any amount of time yet, but it works as advertised. Franchise is at home on the front of a donut shop and the scoreboard at a football stadium. The face was created & kerned by someone who deals with type every day, so with Franchise, you won’t be spending all day fixing the space between As and Ys. The charms are based on shapes of the base molecules. They are strung onto a chain at the place where they would normally connect to the sugar-phosphate backbone. 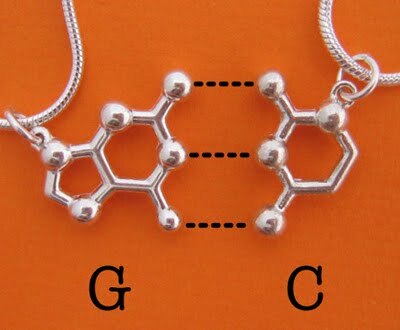 This set of two necklaces comes with your choice of A-T, A-U, or G-C. The charms are about 3/4 inches long, are made with high-quality reclaimed/recycled sterling silver, and strung on a 16 in sterling silver snake chain. These come in a pretty, recycled gift box and include an informational card about the molecules. 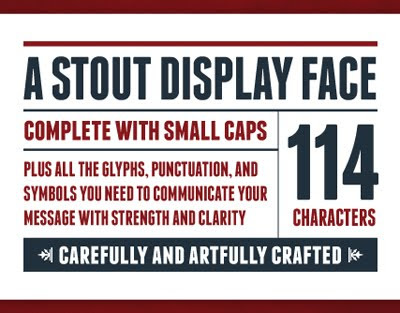 Kilogram is a super-heavy, caps-only display font with a useful range of alternate characters. Designed by Karl Martin Sætren, based on Nick Curtis' Anagram typeface. 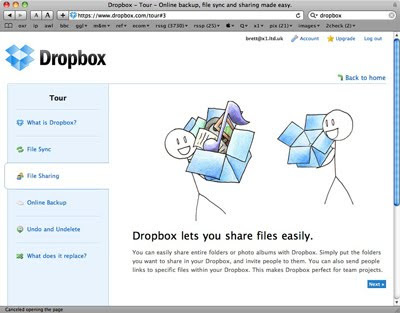 Dropbox is is a web-based file hosting service which enables users to store and share files. It works on Windows, OSX, Linux, iPhone, iPad and Android platforms. There are both free and paid services, with the free option providing 2 GB of online storage. Once installed on my Mac, a Dropbox icon appears in the menu bar (and in every window's menu bar). Any file dragged onto the icon is uploaded to the Dropbox servers, and then becomes available to any other machine that has permission to access your account. I've been using it for a couple of weeks, and find it convenient for dropping files that I may or may not need to look at later. And if I do decide I need to look at them, it provides me with access from whichever device I am using at the time, iPhone, iPad, desktop or laptop computer. 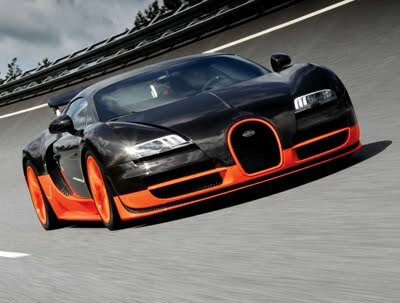 Last week, Bugatti test driver, Pierre Henri Raphanel set the production-car speed record in Bugatti’s Veyron Supersports 16.4 with timed runs of 265.9 and 269.8 mph on Volkswagen’s Ehra-Lessien test track. "At that speed, if anything happens, you can be sure that you won’t be coming back to the pits to tell what was the problem. The night before I could not sleep because I was so stressed." "When you start to go 260, 265, 270 the car is following where the tarmac is telling to the car to go. And it’s a strange feeling because you are not really in control as a driver." 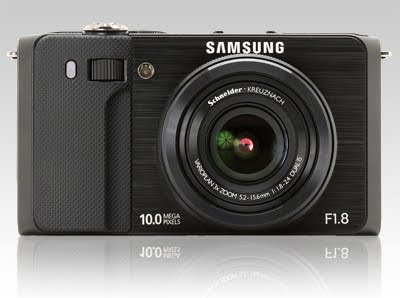 Digital Photography Review have published a full review of Samsung's 'LX3 beater. The Samsung TL500 is a very good camera - it takes good images, has a great lens, flexible feature set and, unlike most mirrorless cameras, it maintains its go-anywhere, shoot anytime capability when slipped into a jacket or coat pocket. Its few quirks are not significant enough that we'd consider it massively less desirable than the slightly more polished LX3, but its advantages over the LX3 are similarly marginal - only if you think you're going to use the Samsung's superb articulated OLED screen is there any real deciding factor (and, even then, the Panasonic's multi-aspect ratio shooting and 720p video might help tip the balance in the other direction). Of the two cameras, the more consistent metering and slightly faster RAW performance would still push us towards the Panasonic, but the Samsung only loses out by a whisker. The iPhone 4 Diamond Edition is yet another masterpiece from the Stuart Hughes collection. The surrounding frame is encrusted with 6.5cts of top quality VVS, colour 'F' diamonds, individually set sparkling gems. The rear section houses a beautiful solid Platinum and Diamond Apple logo. Combining the splendid design of the 4G iPhone with the magical radiance of diamonds has created an exquisite work of art. Celebrate your individuality with the Diamond iPhone 4. The handset is factory unlocked for worldwide use. Also included is a luxurious hand-finished wallet made from real Ostrich foot. 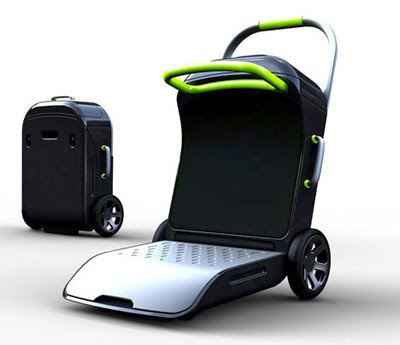 The front portion of the SURFN carry-on swings downwards, serving as a wheeled platform on which you can tow bored children or other pieces of luggage. Digital Photography Review have published a group review of 9 compact super zoom cameras. The Panasonic FZ35 and the Canon SX20 IS perform very well in most areas. 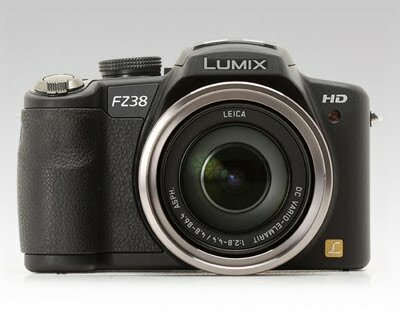 With its excellent viewfinder and well designed control layout the Canon is arguably more of a 'photographer's camera' while the Panasonic is ideal if you need bags of zoom in a small package. Which one is better for you depends entirely on your requirements but in any case you can't go wrong with either of these cameras. Long before Velcro was invented, a species of South American ant used its own natural form of the wonder material to hunt. The claws of Azteca andreae are shaped like hooks and fit neatly into fibrous loops on the undersides of its home plants’ leaves. 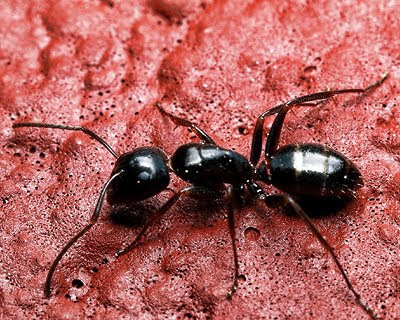 It’s “like natural Velcro that is reinforced by the group ambush strategy of the workers, allowing them to capture prey of up to 13,350 times the mean weight of a single worker,” wrote researchers in a study published June 25 in PLoS One. The ants keep their grip best while on Cecropia obtusa leaves, where the surface loops are pronounced. The two species seem to have co-evolved: A. andreae provides defense against plant-munching bugs, and C. obtusa helps the ants get a predatory grip. The front and back are plastic, but with a thick terabyte 2.5in drive on board and the metal wrapped around it, the Prestige has a solid feel, weighty but not heavy. 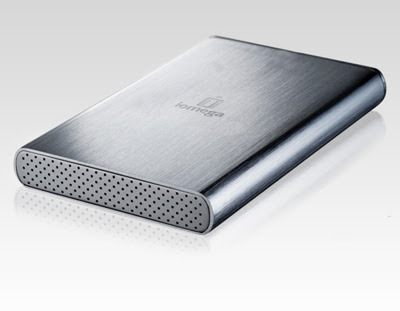 This is really a desktop drive that's small for convenience and portability (116 x 80 x 20mm, 275g) rather than a drive you'll want to carry around with you. Iomega bundles a cable with the drive. It's 'double-headed' in case you need two USB ports' worth of power. The Prestige is priced at around £130.